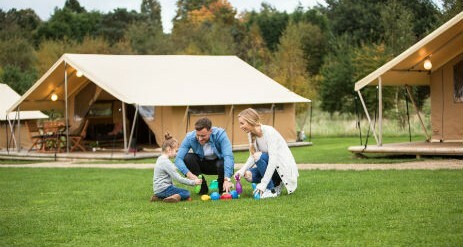 Glamping at Slapton Sands Ready Camp Campsite in Devon combine all the excitement of camping with a dusting of luxury. With beaches and sea views on your doorstep you’ll be staying in a wonderful rural setting. 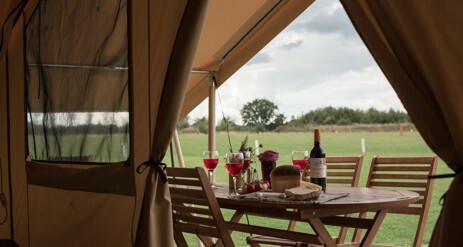 With spacious living space, real beds, comfy furnishings and cooking facilities and your own terrace this really is the perfect spot for a sundowner at the end of the day. Take glorious coastal walks and enjoy the stunning sea views to rugged moorlands and snug local pubs. 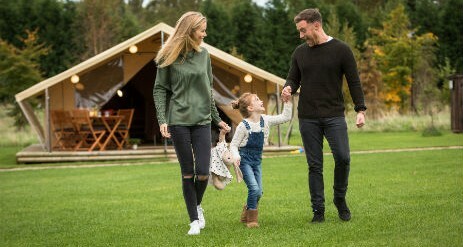 Devon has of course always been a big hit for family camping holidays. 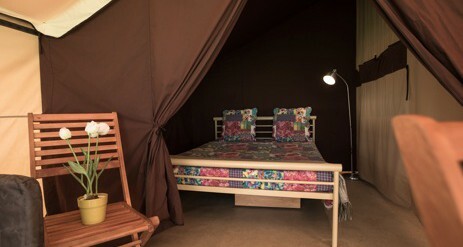 Try glamping at Slapton Sands Campsite and serve up everything you love about sleeping under the stars. Slapton Beach is a few minutes walk away with clean, calm shores. Slapton Beach is your springboard to Devon’s extensive and unspoilt coastline that’s just made for sandcastles, watersports and long walks. Go horse riding, cycling, fishing or play golf locally or hike the nearby national parks of Exmoor and Dartmoor. 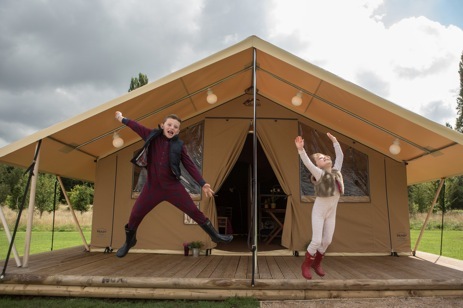 There are plenty of mod cons and amenities including hot showers, toilets and washing facilities, children’s play area, shop for your essentials and an on-site holiday manager. Slapton Ley a National Nature Reserve will be loved by wildlife enthusiasts. It’s the largest freshwater lagoon in the south-west. 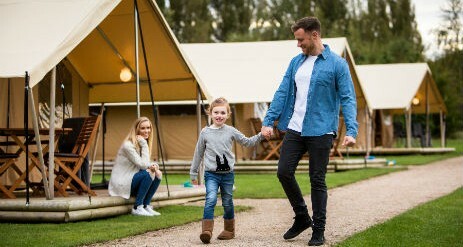 The kids can enjoy a day of fun at Woodlands Family Theme Park and the medieval town of Dartmouth is a great spot for crabbing and cream teas.